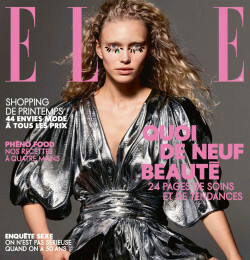 Elle is a worldwide magazine that focuses on women's fashion, beauty, health, and entertainment. elle is also the world's largest fashion magazine.It was founded by Pierre Lazareff and his wife Hélène Gordon in 1945. The title, in French, means "she". Robbie Myers is the editor and chief. Elle was founded in France in 1945. In 1981, Daniel Filipacchi and Jean-Luc Lagardère purchased Hachette magazines, which included the then-struggling Elle. Elle was then launched in the U.S. (News Corporation owned a stake in the US edition until 1988), followed by 25 foreign editions. It is now the world’s largest fashion magazine, with 39 international editions in over 60 countries. Technologically speaking, the Elle brand is a global network encompassing over 20 websites. Elle readers have a median age of 34.7 years. Subscriptions account for 73 percent of readers. 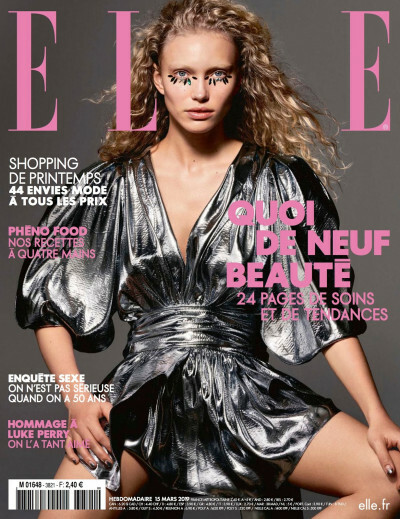 With the remaining 27 percent purchasing single issues, Elle is the only fashion magazine to have increased its newsstand sales in the past five years, most notably with an 18 percent increase in the first half of 2006. 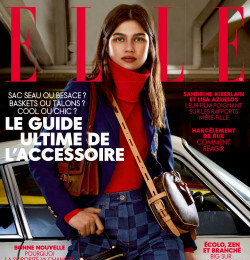 There are 27 Elle websites globally, which collectively attract over 1 million visitors and 26 million page views per month Elle reaches over 4.8 million readers. The vast majority (82 percent) of Elle's audience are women between the ages of 18 and 49. Forty percent of readers are single, and the median household income is $69,973. "Our readers are young enough to think about life as an adventure and old enough to have the means to live it," said Robbie Myers, editor in chief.